Rain later this morning and tomorrow morning. New Harbor is located on Pemaquid Neck off Muscoungous Bay about 3.5 miles north of Pemaquid Point and four miles south of Louds Island. 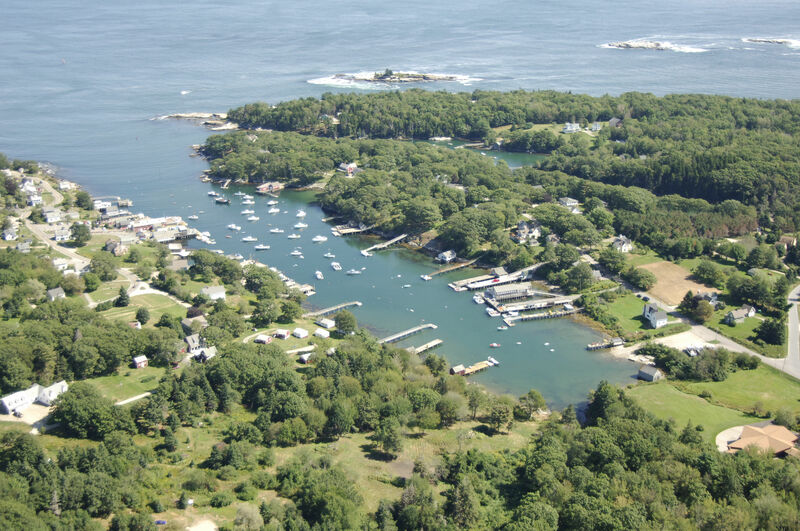 Mainly a small lobster and fishing village, there are no transient dockside slips in New Harbor, but you may be able to score a transient mooring by talking to one of the co-ops. If a lobsterman is away, they may arrange a mooring for you. 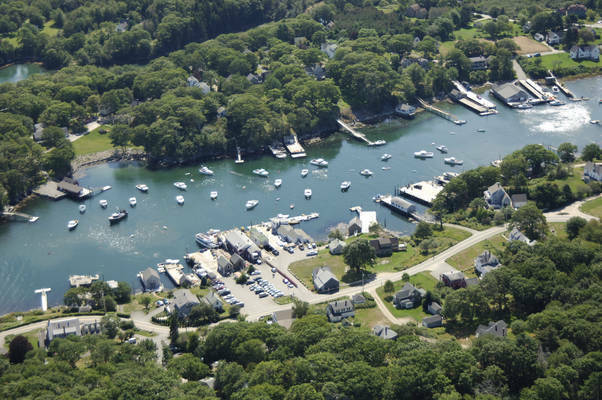 There is a small, but well-protected anchorage in Back Cove, which is just to the left on entering New Harbor. The image above is a view from the east looking west over New Harbor where it meets Muscoungous Bay. Off to the left-hand side of the image and the inlet, a small body of water can be seen moving off to the left. This is Back Cove, which has protected anchorage for boats that draw five feet or less. 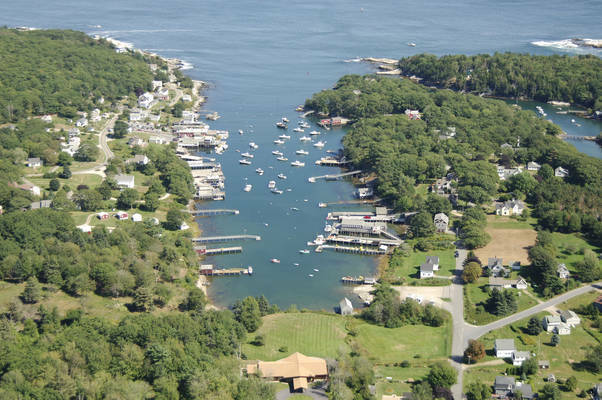 Farther up in the harbor are a series of lobster co-ops, moorings and small dinghy docks. 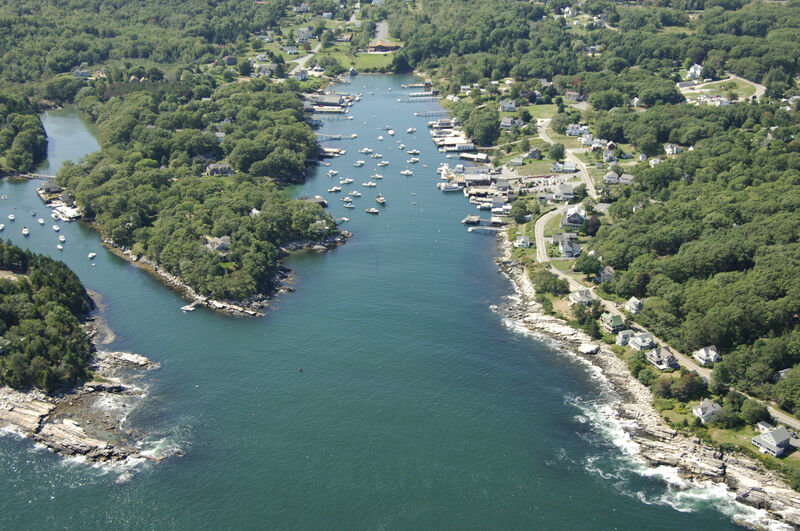 New Harbor is reached via an approach from the east through Muscoungous Bay about 3.5 miles north of Pemaquid Point. From Muscoungous Bay, first set a course for red and white, flashing white buoy NH, which is located at an approximate waypoint of N43 52.432 W69 28.716. Once you have safely navigated to red and white flashing white buoy NH,set a course of about 299 degrees magnetic for approximately .3 miles. 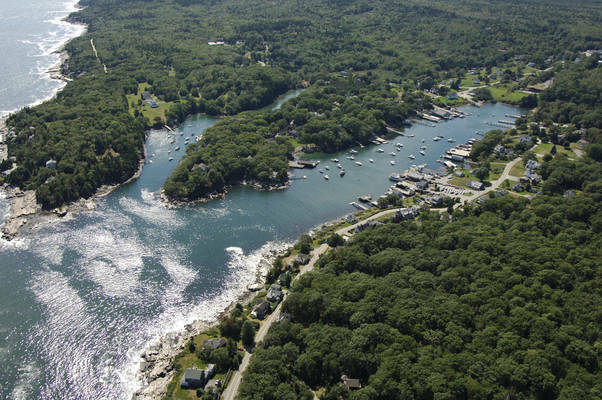 This course will put you just north of red nun buoy 4, and clear of a dangerous three-foot-deep shoal that encroaches on the channel from the southern side of the inlet. After reaching red nun buoy 4 (making sure to stay well north of the unmarked ledge on the south side of the inlet - this is visible just to the left of the exiting boat in the image above), head in toward green daybeacon 5 and into the harbor. Depths are eight feet at the opening to about three-quarters of the way back, and five feet to the head of the cove. 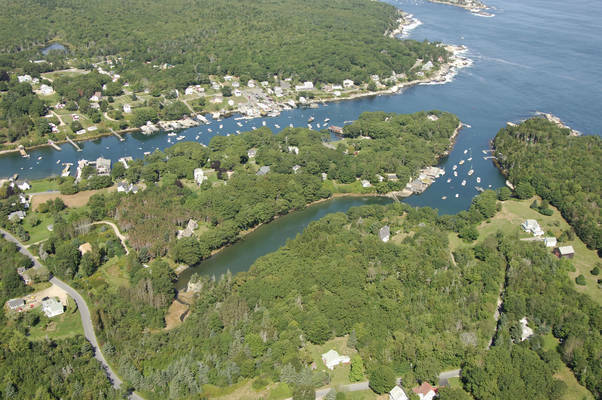 Keep a watch for moored and anchored boats, as the space is quite tight in the cove. No reviews yet! 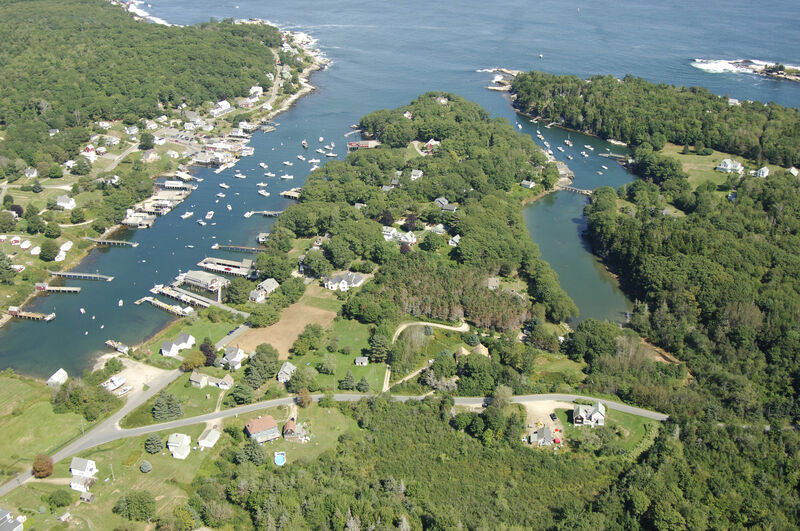 Be the first to write a review of New Harbor Overview.